Is treating infertility a crime? Fertility treatments, particularly IVF have been subject to strict government regulations around the world, but has the Irish government's proposals gone too far this time? One can understand their desire to refuse to cover treatments that would be less likely to result in a healthy live birth, but to threaten jail time for doctors and staff for performing IVF. That makes no sense. Hopefully, these absurd regulations are never enacted. Infertility  the inability to get pregnant or stay pregnant  is a common problem in the United States, affecting about 10 percent of women of childbearing age, according to the Centers for Disease Control and Prevention. Fortunately, many couples can still realize their dream of having a child with the help of assisted reproductive technologies (ART), most commonly in vitro fertilization. Princeton IVF in Lawrenceville, provides care for couples struggling with infertility and enables many women to deliver happy and healthy babies. When most people talk about ART, they are referring to in vitro fertilization or IVF. IVF has been used for decades to help women get pregnant. 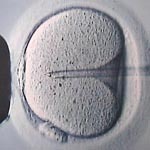 In fact, the first IVF baby is now over 30 years old and has a child of her own. With IVF, eggs are surgically removed from the body, fertilized with sperm and allowed to grow in the laboratory. In vitro literally means “in glass,” as the fertilization and early development happens in a laboratory dish. Fertilization can occur naturally with the sperm selecting the egg or in cases where there are problems with the sperm, can be assisted with doctors inserting the sperm directly into the egg. After 3-6 days the embryos are inserted directly into the uterus. While IVF was first developed to help women with missing or damaged fallopian tubes, it is now routinely used to treat infertility caused by many different problems such as sperm problems, endometriosis, unexplained infertility and any other type of infertility that does not respond to more conventional treatments. Other methods of ART include gamete intra-fallopian tube transfer (GIFT), zygote intra-fallopian tube transfer (ZIFT) and tubal embryo transfer (TET). With these, the embryo is transferred to the fallopian tube through laparoscopic surgery instead of into the uterus, except with GIFT in which the eggs and sperm are inserted into the tube and fertilization occurs inside the body. With ZIFT and TET, fertilization occurs outside the body. These procedures are rarely performed today as their advantages in terms of pregnancy rates have been overcome by modern laboratory technology and improved methods of embryo transfer. ART also refers to use of donor eggs and gestational carriers, which are variations of IVF. Menopause and ovarian function are irrelevant for candidates using donor eggs. SART recommends that all ART candidates should be in good health and have no medical conditions that would pose a serious health risk to themselves or the children they would carry. In addition, the clinic itself can have an impact on success rates, according to the CDC. Princeton IVF's affiliated Laboratory takes advantage of the latest in “clean room technology,” to help improve pregnancy rates. A specialized ventilation and HVAC system allows for improved air quality, flow and temperature control. Air quality is further enhanced by the use of eco-friendly, low VOC (volatile organic compounds) paints and building materials. This type of technology can have an enormous impact on embryo quality, survival and clinical outcomes of IVF treatment, research has shown. What are risks of IVF? The biggest risk factor associated with ART is multiple fetuses, but that can typically be prevented or minimized in many different ways. Other risk factors include surgical risks from the egg retrieval, side effects of the fertility drugs for mom and risks associated with pregnancy. And while ART can be expensive and time-consuming, it has enabled many couples to have children that would have otherwise not been conceived. What is pre-implantation genetic testing? Pre-implantation genetic testing (PGD) and pre-implantation genetic screening (PGS) can be used following IVF to diagnose genetic diseases prior to implanting the embryo in the uterus. Doctors can test a single cell from the embryo to determine chromosomal abnormalities that, among other things, can lead to miscarriage and birth defects. If you are one of the millions of couples struggling with infertility, talk with your doctor about ART. For many, it is a promising option that can help couples realize the joy of parenthood. To learn more about Princeton IVF or to our physician from Princeton HealthCare System, call 609-896-4984 or visit www.princetonivf.com. Seth G. Derman, MD, FACOG, is board certified in gynecology and reproductive endocrinology. He is a fellow of the American College of Obstetricians and Gynecologists and a member of the medical staff at University Medical Center of Princeton at Plainsboro. Eggs and fertility after menopause? Researchers in Greece report being able to generate eggs from women who have already gone through menopause. Doctors in Greece may have found a way to make postmenopausal women grow eggs. As reported in the New Scientist, fertility researchers have been looking into a new way of potential of helping women in menopause continue to produce eggs. As a women ages, the number and quality of her eggs inevitably declines. By the average age of menopause at age 51-52, there are relatively few eggs left in the ovary, and those that do remain, generally are of such poor quality that ovulation just simply ceases. When this happens, fertility disappears, menstrual periods stop and the symptoms of the lack of estrogen such as hot flashes and vaginal dryness get worse. These symptoms of menopause actually start years before the periods stop but the potential for pregnancy, even if it small, remains. What if there was a way to reverse this? With this in mind, a team in Greece tried using something called platelet-rich plasma to see if it was possible to regenerate eggs. Platelet rich plasma (PRP) has been used with some success to try and regenerate injured bone and muscle. Among other things, it contains a mixture of growth factors, chemicals found throughout the body that are involved in the natural processes of inflammation and tissue repair. The idea was to try to use the PRP to regenerate ovarian tissue and somehow activate the dormant eggs to grow. The researchers did find some success, and a number of these women did begin to ovulate again. 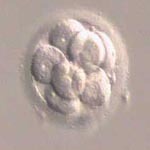 In one patient, they were even able to harvest and fertilize some of these eggs through IVF. The embryos were frozen for later use, so it is unknown whether this procedure can actually result in a pregnancy. There are still lots of unanswered questions before we can consider this an option for infertile couples in menopause, early or otherwise. We know that the eggs are generally of poor quality in women in their late 40's and when there is fertilization that embryos are generally unhealthy. These embryos rarely implant, and when they do the risk of miscarriage and genetic disorders such as Down Syndrome is quite high. It is not uncommon for women in above 45 to produce enough eggs to do IVF, but it is uncommon that any are good enough to result in a healthy pregnancy. Would the eggs from PRP be any different? While it is possible that the PRP may improve the quality of these eggs to the point where they can result in a healthy baby, it is just as likely (if not more so) that they they will not. We don't know if the center that reported this data will be able continue to get patients to respond as time goes on or if other fertility clinics will be able to replicate these results. We also do not know if the benefits are short acting or long term, and if they are long acting what the implications are for these patients. Does it mean that a 60 year old can now conceive on her own or how will the continuation of menstrual cycles beyond the natural time affect a woman's risk of diseases such cancer or heart issues? The implications, both medical and ethical, could be enormous. At this point, it is still just an interesting idea. Still, the prospect of being able to restart a menopausal ovary is intriguing to fertility specialists and their patients. How old is too old to try IVF ? With stories of 45 year celebrities having babies (and sometimes even twins and triplets) with high tech treatments, most people think that age is not a barrier to successful treatment. When using donor eggs from a young egg donor, that is definitely true. The chances for success with donor egg ivf is excellent, even for women in their late 40's. However that is not the case in women using their own eggs. Pregnancies in women undergoing fertility treatment without the use of a donor over 45 are very unusual. A recent report from Florida describes a 46 year old woman who is reported to be oldest woman to conceive from IVF with her own eggs. Is this a major breakthrough? Not really. The main determinant over whether a fertilized egg will develop into a healthy baby is whether the embryo is genetically abnormal. Genetically normal embryos are common in 25 year olds but pregnancy rates are never 100%. Likewise, the vast majority of 45 year olds' embryos are abnormal, and so the pregnancy rates would be expected to be quite low but not exactly 0%. When confronted with these odds, most couples would chose not to try.